Show me the warranty. At CAS, we understand that a warranty is only as good as the material it backs up. Your New Roof has got to be right. If you truly want to make your new roof, the last roof you will buy, do your research. Don’t be fooled by maintenance contracts that are written to look like a warranty. Install a maintenance FREE Lifetime Warranty New Roof fromCAS Enterprises. Your roof is the most important insurance policy you can buy. Don’t you want one that will last a lifetime? Not all roofs are the same. And neither are all Roswell and Albuquerque roofers. Don’t trust everything under your roof to inferior protections. Call CAS and get the facts about the REAL lifetime maintenance free roof solution that meets your flat or pitched roof need. Perfect roof for Santa Fe homes. When looking for roofers in Santa Fe, we have the perfect products to fit your climate and style. Our roofs are covered by two types of warranty. Our Manufacturers support the actual materials used in installation with a manufacturer’s warranty. CAS Enterprises backs up the workmanship of the installation with a contractor’s warranty. Any disputes with the physical materials involved in your roof installation are the responsibility of the manufacturer. 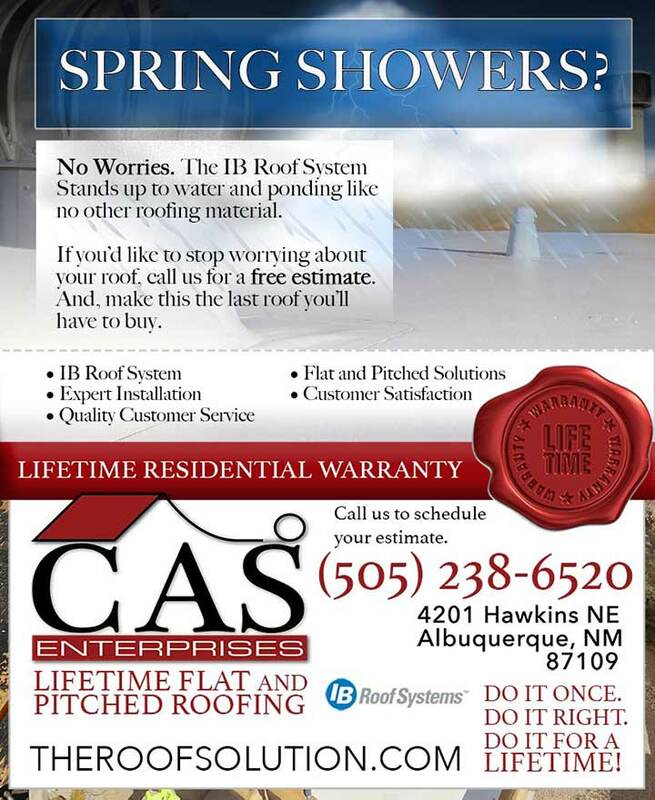 Any question about the workmanship on your roof can be taken up directly with CAS Enterprises. Tired of searching for Albuquerque roofers, when all you really want is to not have to worry about your roof at all? Maybe you need a roofer in Santa Fe? You don’t want to have to be concerned about the one thing that protects EVERYTHING in your home. Your roof.